We are one of the topmost manufacturers and suppliers of high quality Biotech and Life Science Equipment. In addition to this, we provide the installation and controlling services for Industrial Automation and Fermenter SCADA Software. 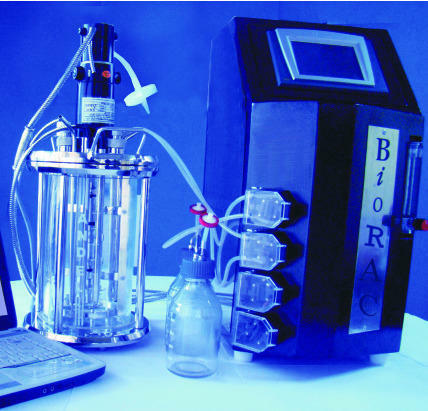 Owing to our well-established infrastructural facilities, we are involved in manufacturing, exporting and supplying a wide a wide range of Lab Scale Fermenter, Pilot Scale Fermenter, Production Scale Fermenter, Ultra Pure Water System, Peristaltic Pump, Conductivity Meter, PH-Meter, etc. The offered products are manufactured by our highly skilled professionals using optimum grade factor inputs and latest technology in compliance with the international quality standards. These products are well-known among clients for their durability, easy use, perfect finish, low maintenance. Our clients can avail these products at market leading prices. We are offering superior quality Services to our client such as Industrial Automation and Fermenter SCADA Software.